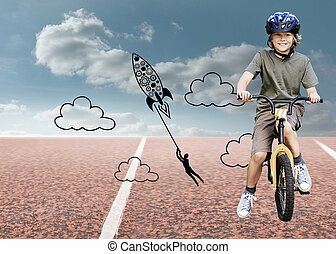 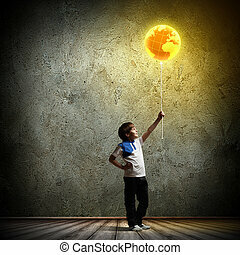 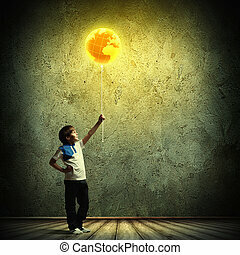 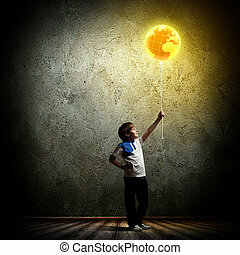 Fantasty image of little boy flying a balloon. 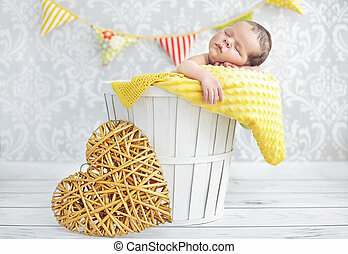 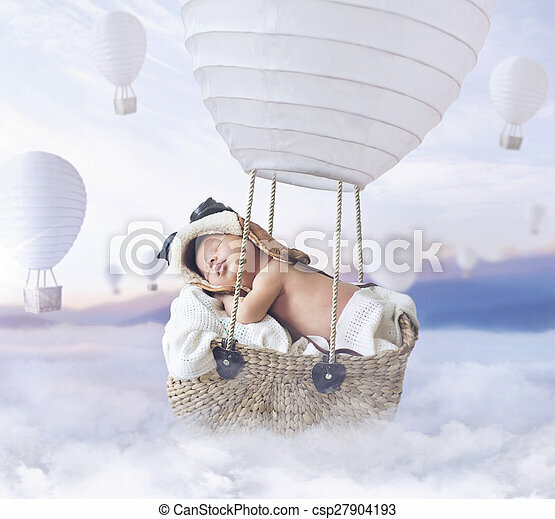 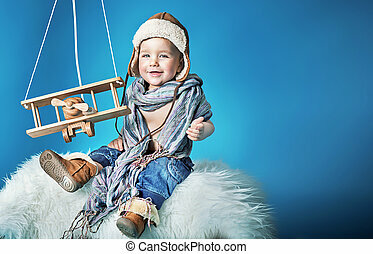 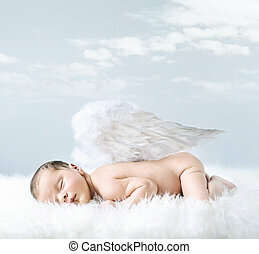 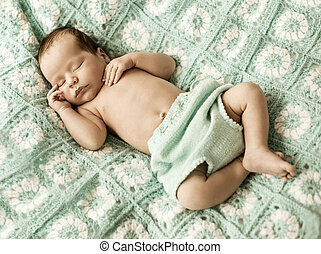 Fantasty image of little baby flying a balloon. 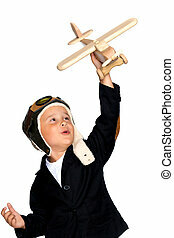 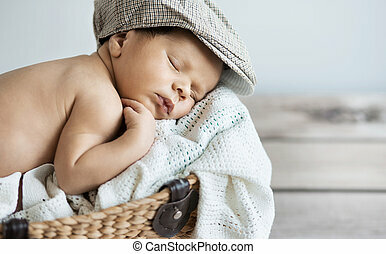 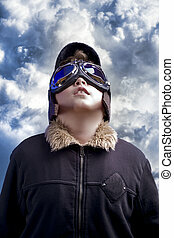 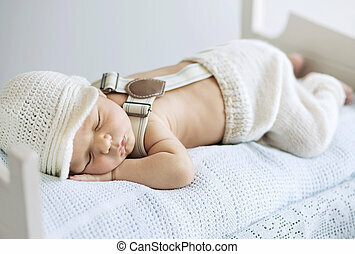 A little boy dreams of becoming a professional pilot. 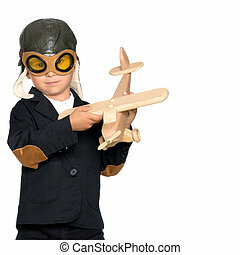 Vintage aviation hat. 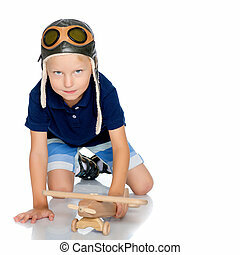 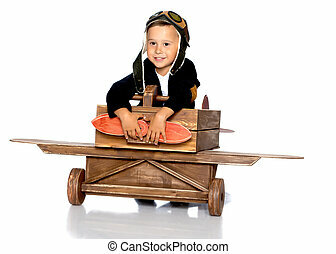 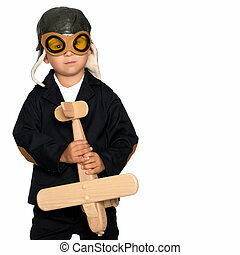 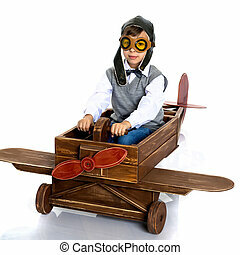 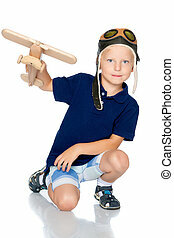 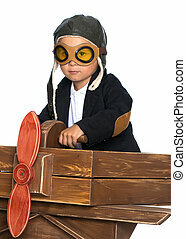 The boy in the helmet of the pilot plays with a toy wooden plane. 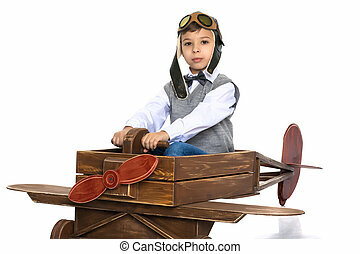 He dreams of becoming a pilot. 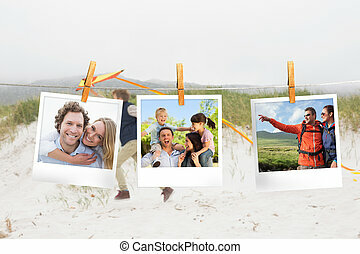 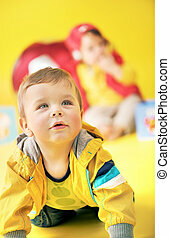 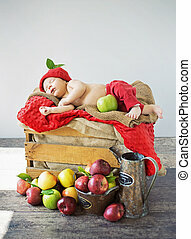 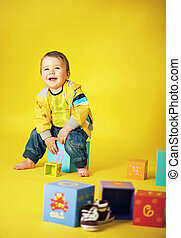 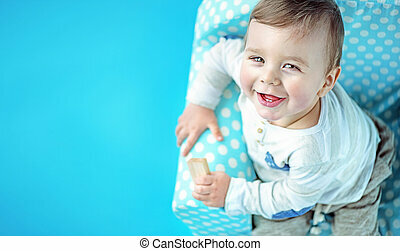 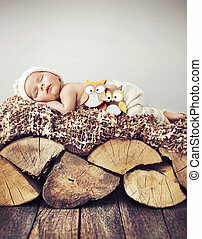 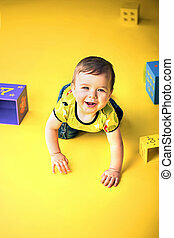 Concept of happy childhood, child in the family.Isolated on white background.